NEW DELHI — At least 19 people were killed and more than 130 injured when a passenger train was derailed in western India on Sunday, police said. The accident took place in Raigad district, around 60 miles south of India's financial capital Mumbai, when the engine and some of the coaches of the train came off the tracks on Sunday morning. The train was travelling from Diva, in suburban Mumbai, to Sawantwadi, close to the beach resort state of Goa. The exact cause of the accident was not yet known. Police in Raigad said on Sunday night that 19 people had been killed and 132 injured. 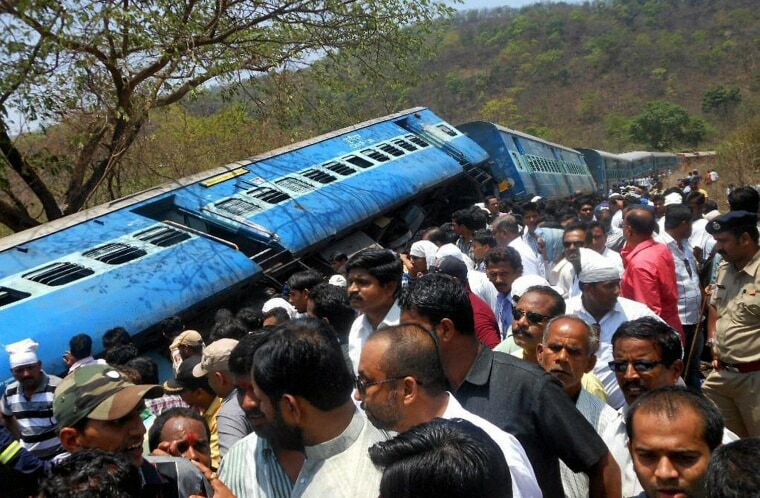 The Konkan Railway Corporation, the government-owned company that operates the railway line, put the death toll at 13 and the number of people injured at 123 in a statement on its website earlier on Sunday.